Stay in one of our fine apartments, and explore the great city of Madrid, which offers something for every visitor. For architecture buffs, there is the Plaza Mayor — the beautifully proportioned 17th-century square — and the magnificent Royal Palace, as lavish as Versailles. 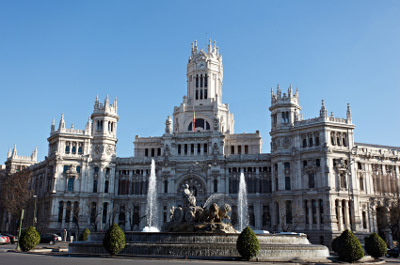 For art lovers, Madrid is home to one of the world’s most celebrated museums, the Prado, which features works by Goya, El Greco, and Velázquez, as well as Picasso’s most famous work, Guernica. And for anyone who wants to enjoy Spain as the Spanish do, Madrid boasts some of the country’s best restaurants and tapas bars, and a seemingly inexhaustible nightlife. © Copyright 1998 – 2016 Villas International Ltd.